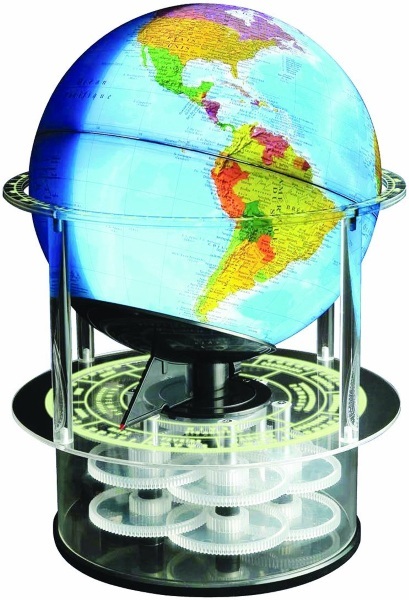 This globe rotates in time with the Earth and changes from night to day accordingly. With just a glance, you can see what the rest of the word is experiencing, when it comes to sunlight or darkness. It acts as clock and a calendar. And, you know, a globe. This globe runs on AC power and you set it manually but it seems that it’s very easy to work with. For the anyone who really likes globes and wants to see how the world changes over 24 hours, the Night N Day Mechanical Globe is $172.54.